March 11, 2016 – In central Michigan at least a dozen medical marijuana distribution centers and many homes have been raided by various police agencies over the last 48 hours. It began on Wednesday, March 9th with police cars descending on a pair of centers where sick people certified by a physician and registered with the state obtain their medical marijuana. These centers, often called dispensaries, were located in Mio and Lewiston. On Thursday the raids continued. Nine dispensaries in Gaylord and one in Vanderbilt were raided by police, resulting in two arrests for charges related to illegal distribution and possession of marijuana and THC products. The raided businesses are accused of having illegal forms of THC products, alleged independently by officers involved in both Wednesday and Thursday’s actions. 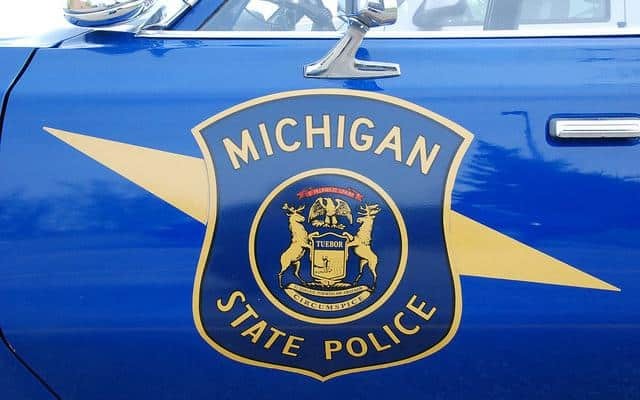 On Wednesday, STING raid teams, MSP troopers and Oscoda County Sheriff deputies seized “marijuana; growing equipment; other paraphernalia that is conducive for making edibles, which is illegal; THC wax; THC butter,” said Det. Sgt. Priest of STING. Raid teams from SANE on Thursday confiscated more than 150 jars of marijuana, THC edibles, drinks, waxes, extracts and oils, automobiles, 143 marijuana plants, prescription opiates and over $17,000 cash.Participating in the raids were Michigan State Police troopers, Straits Area Narcotics Enforcement officials, deputies from the Otsego County Sheriff’s Department. 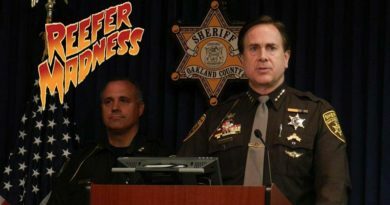 The communities involved are left shocked and surprised- not by the presence of medical marijuana, but by the actions of the police agents involved. Many of these centers had been in operation for years, and had been well-integrated into the daily life of rural Michiganders. During the first series of raids on dispensaries in Gaylord the community reacted negatively to the police actions. The citizens protested, then they drafted a petition, they obtained the necessary signatures and successfully submitted their proposal. The Council adopted the proposal as an ordinance, one that specifically defines dispensaries and protects them from local police action. Note the police agencies listed as participating in the raids were all county or state level agencies; no local cops were used. These communities support the existence of dispensaries. Police that take their orders from local officials create a society that the citizens are comfortable with; police that take their orders from county seats or state capitals create societies that distrust government, distrust the police and detach from participation. © 2016 www.thecannabischronicles.com. Reprinted by permission. All rights reserved.